There was no doubt that the Maroons wanted it bad. Really bad. They wanted to send Billy Slater out a winner. They wanted to avoid a whitewash. And for the first 37 minutes it looked like they’d achieve those things easily. Their possession stats were incredible. Queensland had ten more sets than NSW. They made 460 more metres with the ball in hand. They made the New South Welshmen make 90 more tackles. They’d done it through some superb forward play and some great kicking from Daly Cherry-Evans. They forced five repeat sets through dropouts, and their focused and determined play had the Blues conceding five penalties to the solitary one of their own. They had the ball for ten more minutes than the Blues over the first 40. And in the 31st minute, Jimmy Maloney got sin binned for deliberately blocking Billy Slater’s run. They should have gone into halftime up by 18 at least. However, for all that dominance, the Blues would not relent in defence. Like Leonidas and his 300 Spartans, defending the hot gates at the battle of Thermopylae, the New South Welshmen formed a defensive wall that the Maroons could only breach through an intercept try to Valentine Holmes in the 11th minute. Again and again, they threw their frames at the blue wall. Again and again they were repelled. Then, in the 37th minute, Cam Munster threw a wide ball to Dane Gagai and Corey Oates, who had a two on one. The problem was that the one was Tom Trbojevic and he intercepted the pass and ran 90 metres to score. All of a sudden it was 8-6 and all of that possession counted for nothing. Then, three minutes later – on the stroke of halftime – Josh McGuire made a bad read in defence and allowed Jim Tedesco to score untouched next to the posts. All of a sudden it was oranges and Boyd Cordner’s blue Spartans had not just repelled the Maroons, they were in the lead. They had withstood a seemingly endless siege and somehow had come out in front. It looked dire for Queensland. When Kevin Walters told Darren Lockyer at halftime that he was confident that all his side had to do was fix up their attack and they’d get away with the win, I wasn’t sure who he was trying to convince: us, or himself? It seemed we’d seen the turning of the tide and NSW were about to roll over Queensland. When Walters replaced Andrew McCullough in the 31st minute with Ben Hunt, the passing from dummy half immediately suffered. McCullough’s balls give his runners an advantage. While not Harbour Bridge passes, Hunt’s distribution did not. Further, McCullough’s defence at dummy half is second to none, while the Dragons halfback isn’t a noted defender. Yet McCullough would not return to the field for the rest of the game. When the second half resumed, the Blues made 90 metres on their first set, with Tom Trbojevic going through Ben Hunt during the set. Maloney returned to thefield in time for the final play of the set and forced a repeat set. The writing surely was on the wall. Not only had the Maroon dynasty ended, but the Blues were going to sack their capital and salt their fields as well. But the Maroons held on. The Blues came close but couldn’t breach the Maroons defence. The Blues won the possession in the second half but that was all they won. In the 51st minute Valentine Holmes finished a great backline move to score in the corner to level the scores. 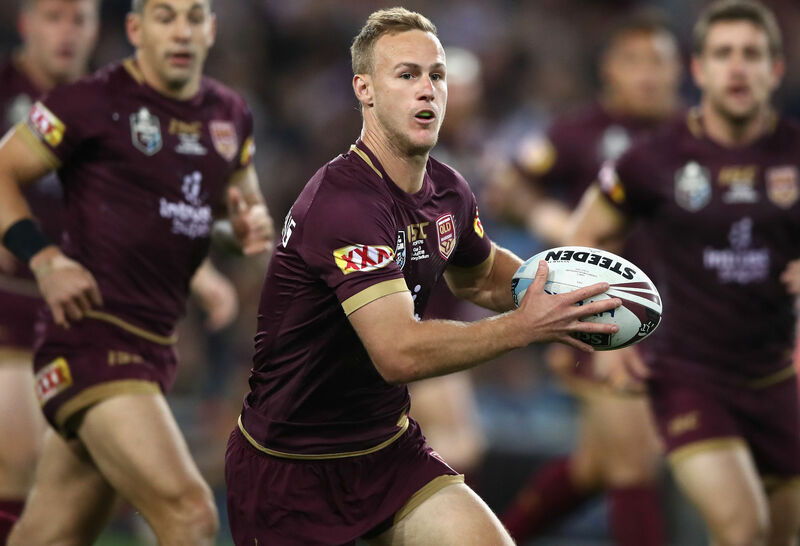 Then seven minutes later Daly Cherry-Evans capped a triumphant return to State of Origin, finishing off a Cameron Munster break to score under the posts. While Billy Slater may have been awarded the official man of the match award, DCE could not have been far off that prize. 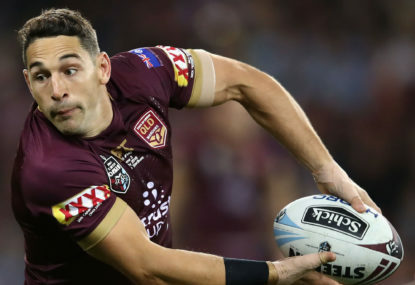 It is hard to imagine a scenario – outside injury – where the Manly playmaker won’t retain the Maroon number seven in 2019 on that performance. Queensland were out to a six point lead and they would not relinquish it, despite a determined Blues side fighting right to the final whistle. In the end the win came down to the little moments. With his side in possession in the 50th minute, debutante Tariq Sims decided that tackling the marker, Ben Hunt, and driving him into the ground was a good option. Gerard Sutton disagreed and awarded the Maroons a penalty. The Queenslanders took full advantage of that possession and field position with Holmes scoring on the next set. With his side deep in attack on the Maroons line in the 64th minute, David Klemmer played the ball and quickly followed that by deliberately tripping Ben Hunt. Ash Klein saw it and gave the Maroons a very relieving penalty. Latrell Mitchell made a silly error. Angus Crichton held the ball too long rather than releasing James Roberts with a quick ball. These little moments are part of what ended up separating the two sides. 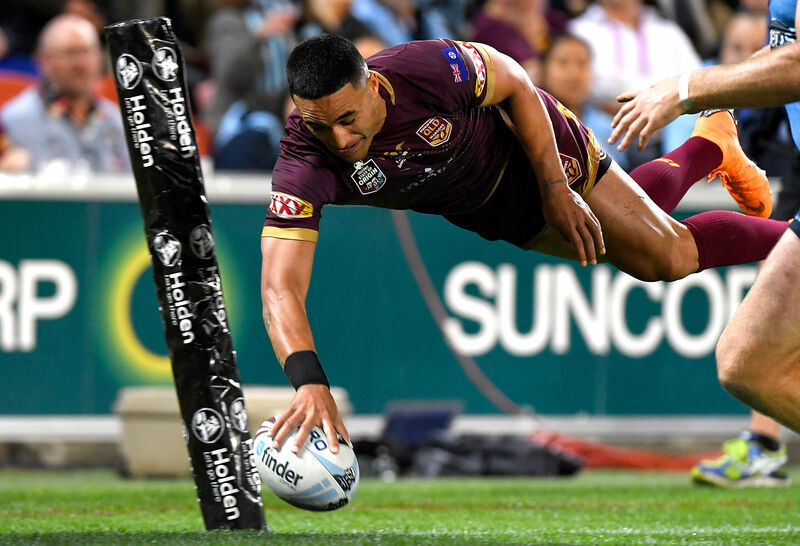 However, none was more important than Valentine Holmes flying Superman leap to take a superb intercept in the 77th minute. Outnumbered again, he knew that he had to cut off the ball. He flew at the ball with the sort of desperation that you really only see in grand finals or State of Origin games. That he didn’t just cut off the ball, but also maintained possession, was vital. There were so many great performances from both sides with not one player really being able to be singled out for having a poor game. For Queensland I felt that Daly Cherry-Evans, Valentine Holmes, Billy Slater and Gavin Cooper were the best, with Josh Papalii doing very well in the front row. 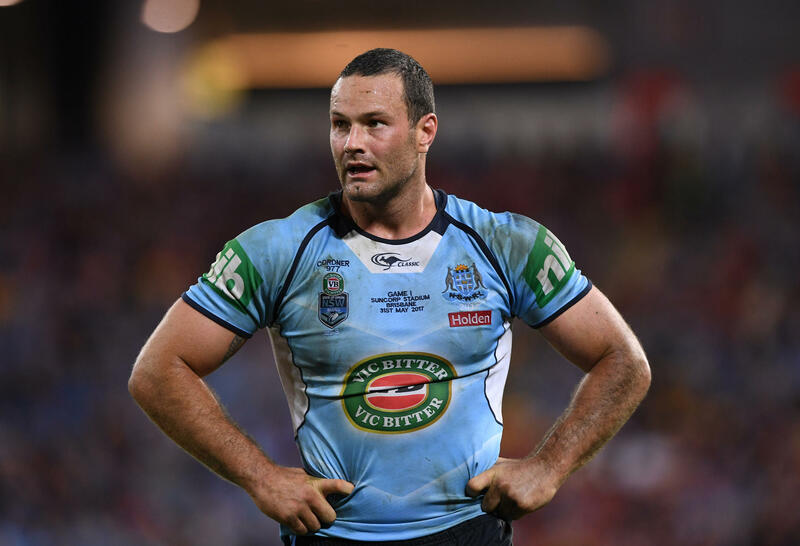 For New South Wales Tom Trbojevic, Damien Cook, Jake Trbojevic and Tyson Frizell – whose chase on Valentine Holmes from the far side of the field once more showcased his superb speed – were all very good. It is fitting that that Billy Slater was able to exit the stage a winner. He finishes on 31 Origin games, the same amount as Brad Fittler and Wally Lewis – which is very fitting company for the boy from Innisfail. He has been an ornament to the interstate competition since he started in Maroon 15 years ago. And the match was superb, probably the best in the series. It proves, once more, that there is no such thing as a dead rubber in State of Origin.